BOTOX vs. MiraDry: Which is Best for Reducing Underarm Sweat? Home » Blog » BOTOX vs. MiraDry: What’s the Best Option for Reducing Underarm Sweat? Underarm sweat has terrible timing. It’s at its worst when we’re stressed out, in close quarters, or both—and any resulting sweat stains and odor only serve to stress us out more. Antiperspirants can help, but they come with drawbacks: they contain chemicals that not everyone is comfortable with, they leave marks on clothing, and they often don’t hold up to the demands of our day. The good news is that we have two treatments that can reduce or eliminate underarm sweat: BOTOX® injections and MiraDry®. We offer both at Boston Plastic Surgery, and many of our patients ask which is best. While the exact answer requires an in-person consultation—each patient has unique needs and goals—we thought it might be helpful to outline the pros and cons of BOTOX vs. MiraDry. What’s involved with BOTOX for sweating vs. MiraDry? BOTOX injections for excessive sweating (a.k.a. hyperhidrosis) are similar to BOTOX for cosmetic purposes, only injections are made in the armpits. BOTOX works by blocking nerve signals to the sweat glands, so when your brain says “start sweating,” your glands don’t respond. Injections take about 30 minutes, and topical anesthetic can help offset the discomfort of injections, which feel like a brief bug bite. MiraDry is an energy-based, non-surgical treatment. The armpits are numbed with anesthetic, and a handheld device emits microwave energy through the skin, which heats and destroys the sweat glands. Treatments takes about 1 hour, and most of our patients find treatment easily tolerable with little discomfort, especially since we changed to an improved numbing technique. Neither option requires downtime. What results can I expect with BOTOX? What results are possible with MiraDry? Both treatments can achieve significant sweat reduction within a few days after treatment. BOTOX studies report that most patients experience greater than 50% sweat reduction, and many achieve up to 80% reduction. MiraDry studies report similar or better results: one study showed around 80% sweat reduction as soon as 3 months after treatment. MiraDry offers benefits beyond sweat reduction. Because the sweat glands are destroyed, they can’t produce odor anymore—many patients feel confident without wearing deodorant at all after treatment. Also, the heat from the MiraDry device can disable hair follicles, and many patients have experienced a reduction in underarm hair as a pleasant side effect. BOTOX injections do not offer these benefits. How long will results last with each treatment option? Sweat reduction from BOTOX typically lasts about four to six months. Patients will need re-treatment every 6 to 8 months to maintain the effects. Results achieved with MiraDry last indefinitely, because the sweat glands do not grow back after treatment. Although there is significant reduction (in the range of 80-85%) from the first treatment, some patients choose to have a second treatment, usually a few months later, to achieve the most complete sweat reduction possible. 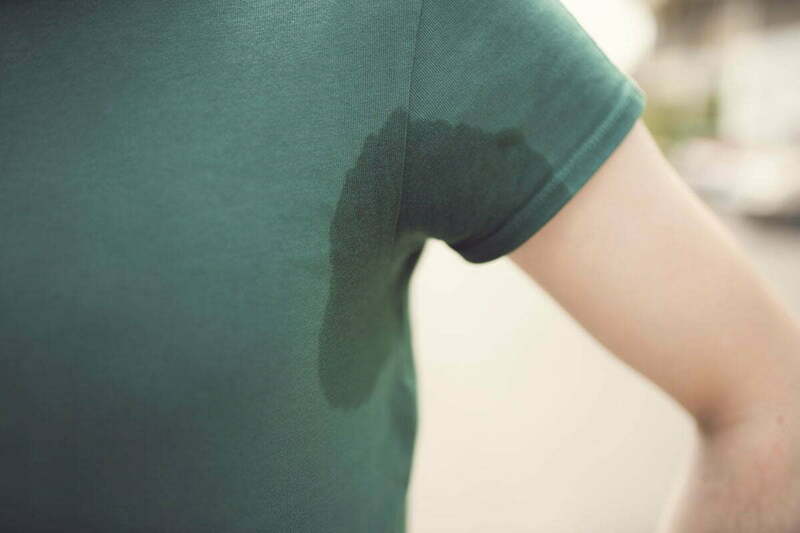 A third treatment would only be needed for severe cases of hyperhidrosis. Is MiraDry safe? What about BOTOX? Both MiraDry and BOTOX are FDA approved to treat excessive underarm sweating. For the right patients, both treatments are safe in the hands of an experienced medical provider. Energy-based treatments have been used safely and successfully for years in medicine, and MiraDry emits controlled levels of microwave energy in a localized area. Likewise, BOTOX has an excellent safety record for use as a cosmetic and therapeutic treatment. The neurotoxin in BOTOX is carefully measured and diluted so that it spreads only to the nerve endings in the intended treatment area. Possible side effects with MiraDry include: temporary swelling, numbness, and tingling in the armpits. Serious complications, such as prolonged loss of sensation in the armpits, are rare. Possible side effects with BOTOX injections include: temporary swelling, soreness, and numbness. Serious complications, such as muscle weakness, difficulty swallowing or breathing, or blurred vision, are rare. Which is the better value: BOTOX or MiraDry? In Boston, MiraDry sweat reduction costs about $1,900 for the first treatment and around $900 for the second treatment, if needed. Most patients are satisfied with their results after one or two treatments. BOTOX injections are priced per unit—we charge $15/unit—and the cost of treatment will depend on the number of units needed to achieve optimal sweat reduction. This number can vary widely, but the average patient requires around 50 units/armpit, bringing ballpark costs to about $1,500. Keep in mind that while MiraDry costs more upfront, results are usually permanent. BOTOX treatments must be repeated two to three times per year to maintain results. Therefore, MiraDry typically costs much less in the long run. Dr. Samaha has been using BOTOX injections successfully as an excessive sweating treatment for many years, and still may be the best solution for some patients. While MiraDry is a newer treatment, the advantages it offers in terms of longer-lasting results plus the added benefits of odor and hair reduction are hard to beat. That said, the best way to determine the right solution for you is to talk with a physician who’s experienced with both BOTOX and MiraDry. Based on your medical history, your concerns, and what you hope to get out of treatment, your doctor can help you choose the best option for your goals and budget. If you are in the Boston area and interested in learning more about your options to stop underarm sweat and live without the hassle of antiperspirant, we’ll be glad to help. Contact us today to schedule a personal consultation with Dr. Samaha, Dr. Lee, or our aesthetic nurse injector, Maryanne Savage, RN.